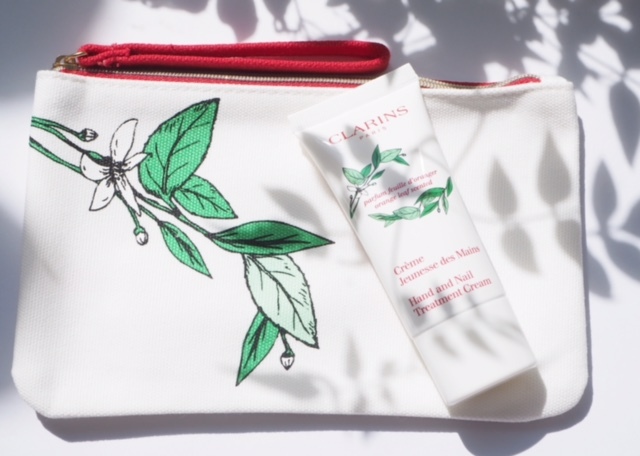 Clarins has surprised us with a high summer collection – the Clarins Beauty In Bloom Limited Edition Collection – which is a celebration of colour and flowers. 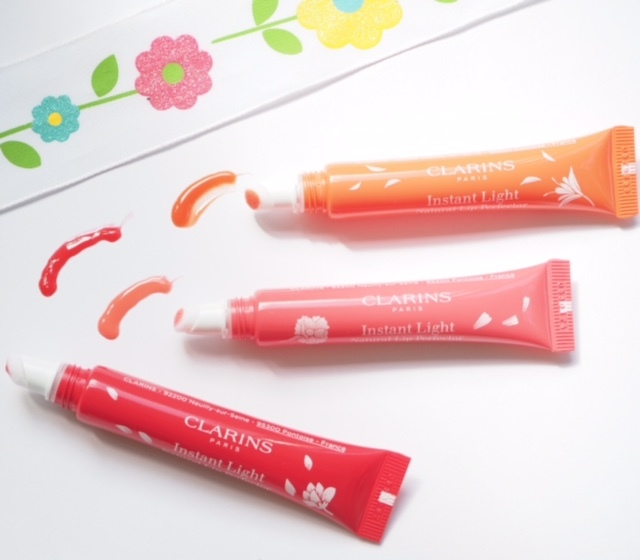 I know there’s usually no excuse needed to go Clarins shopping, but this collection is the antidote to our so far rather unpredictable summer weather and accompanying gloom. It’s already in store and if you have summer birthdays to cater to, then the collection truly hits that spot. Above is the Daily Energiser Lovely Lip Balm (£16) HERE with cocoa butter, shea oil and redcurrant extract (to give fuller lips … who knew?) that has some colour adjusting in it. Did you know that one Instant Light Lip Perfector is sold every 36 seconds around the world? Me neither.. but it makes me hope they have plenty of supplies of these. 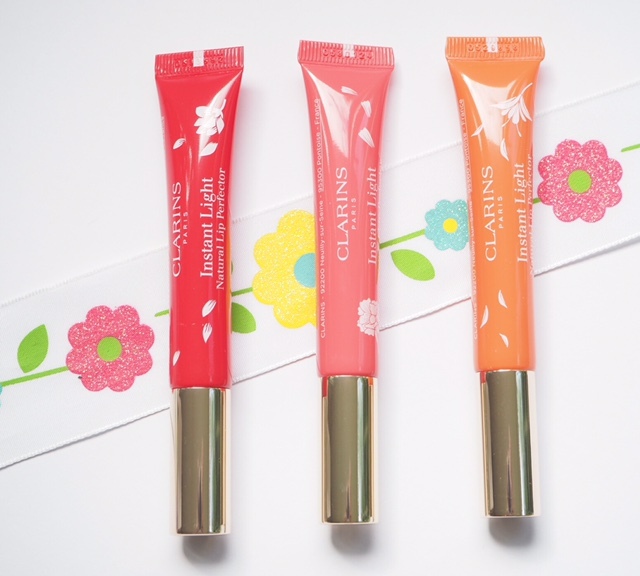 They’re more gloss tints than anything, but they are super glossy and straight away make me think of summer weekend makeup – down-time with a slick of something. The first is Red Shimmer, middle is Pink Shimmer and last is Orange Shimmer, but the name is a bit misleading because there isn’t any shimmer that I can detect in them. Instead, just a sheer, juicy wash of high gloss colour. 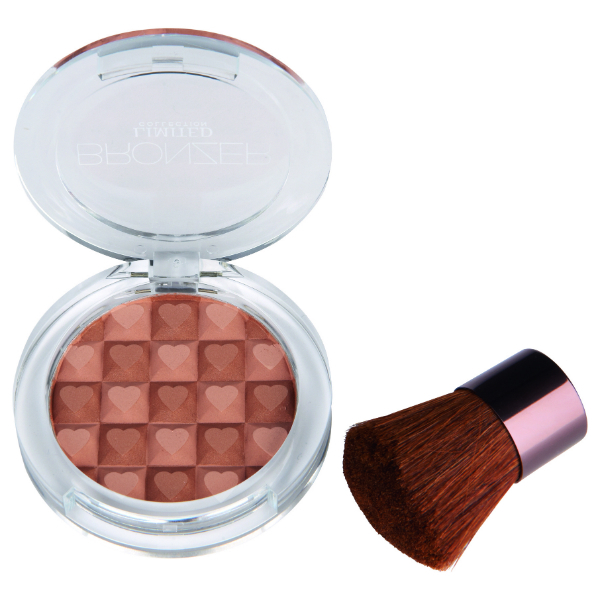 In the swatch, Orange Shimmer, Red Shimmer and Pink Shimmer. They’re £18 each HERE. 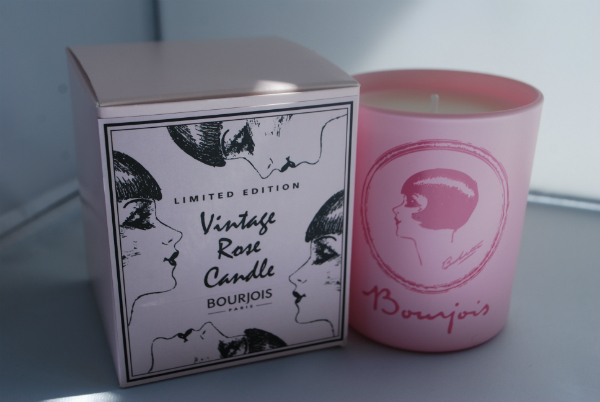 I’ll be honest and say I am storing this sample away for my mum who will absolutely love it! There are three differently scented handcreams – Orange Leaf, White Tea Leaf and Fig Leaf – each in a 30ml tube. 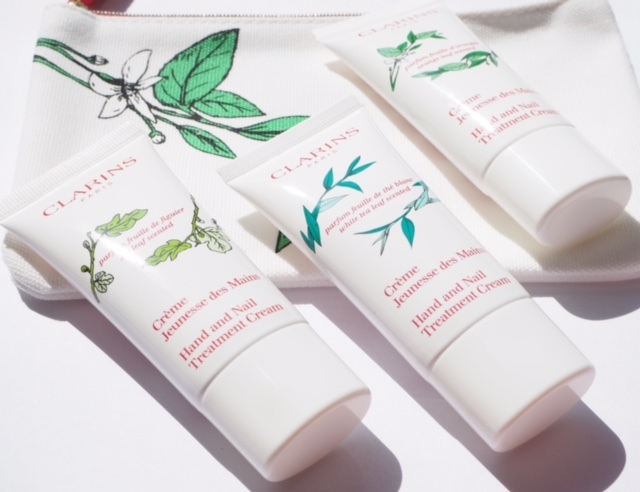 If you love the scent of Clarins hand cream as it is, don’t worry – these are lightly scented and although there are some notes to change it up, it still smells like Clarins! 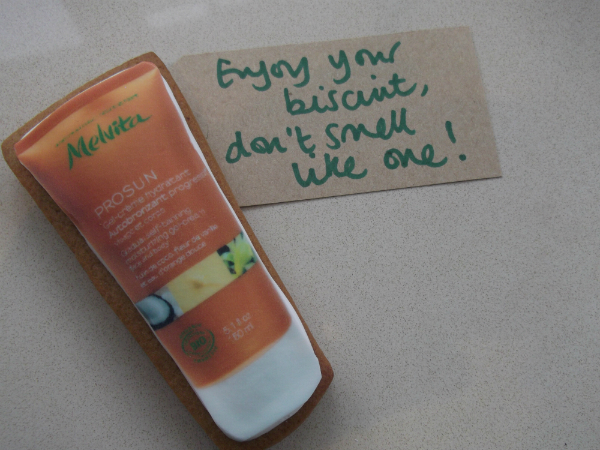 And, you get the little bag to carry your cream around in. 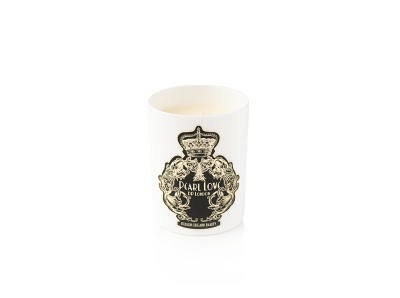 The hand cream set is £25 HERE. 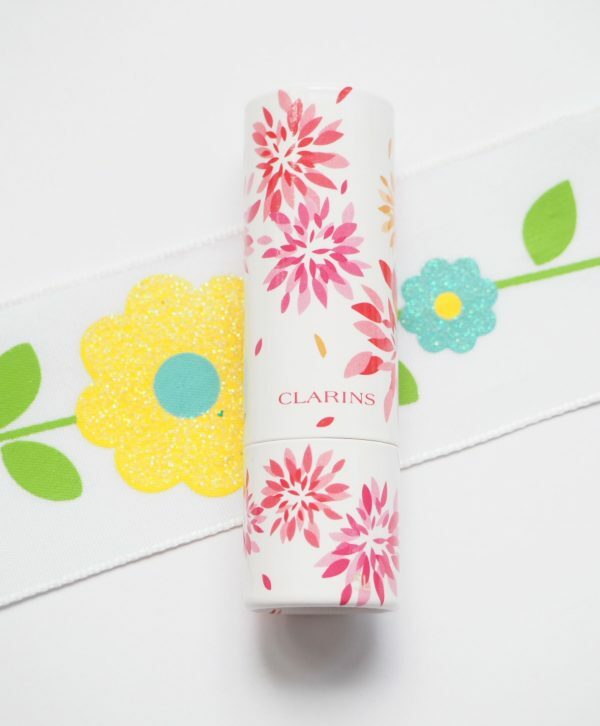 I’ve also just spotted that Clarins have free delivery til tomorrow (6th). That lip balm is so cute i love the packaging! 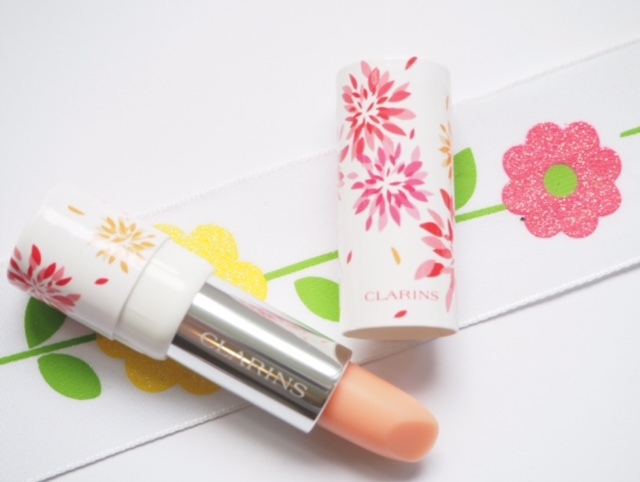 I love Clarins but I was, however, disappointed with the lip balm. I wasn’t expecting cardboard casing and for £16 I thought it was a little steep.